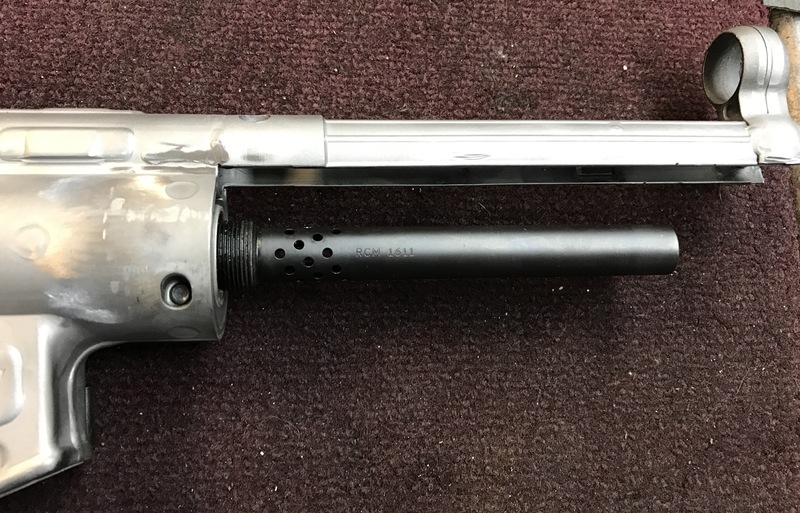 We have some demo Factory HK MP5SD's that were sent to us for repair that had the suppressor's stuck on to the gun and they started to get very loud, we had to cut the cages off and the suppressors as well. This is all factory HK including the suppressors. 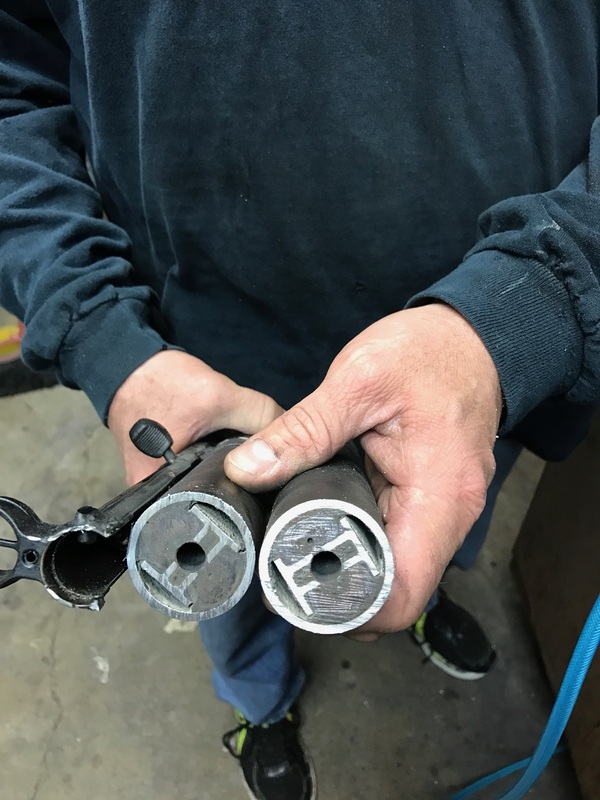 They obviously did not try to take off the suppressors and were seized to the barrels, this is why it is so critical that the suppressors come off every 250-500 rounds to clean the barrel and ports of built up carbon. 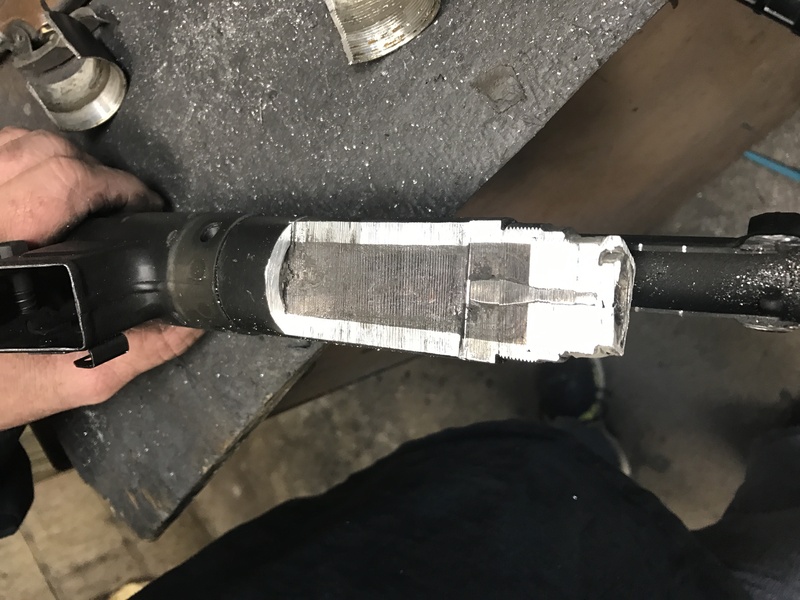 The suppressors were solid carbon all the way to the end cap inside. Thanks for looking and don't let this happen to you. Last edited by TPMoutfitters; 03-20-2017 at 10:31 PM. That is amazingly shameful neglect. Has to be the worst I have seen. If you are salvaging them, it would be great to see the "after" pics too. Sadly, you can't fix stupid. I have a slight HK problem. This is really amazing. I've never seen neglect so serious before. any updates to this story? 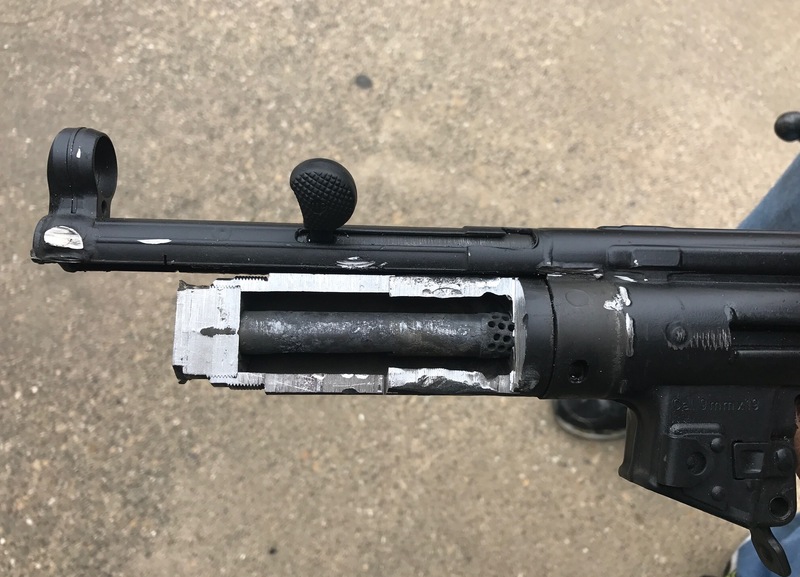 They were used as demo PD guns and we did not get much back story other than they could not get the suppressors to budge and they weighed 3 pounds more than a typical MP5SD. 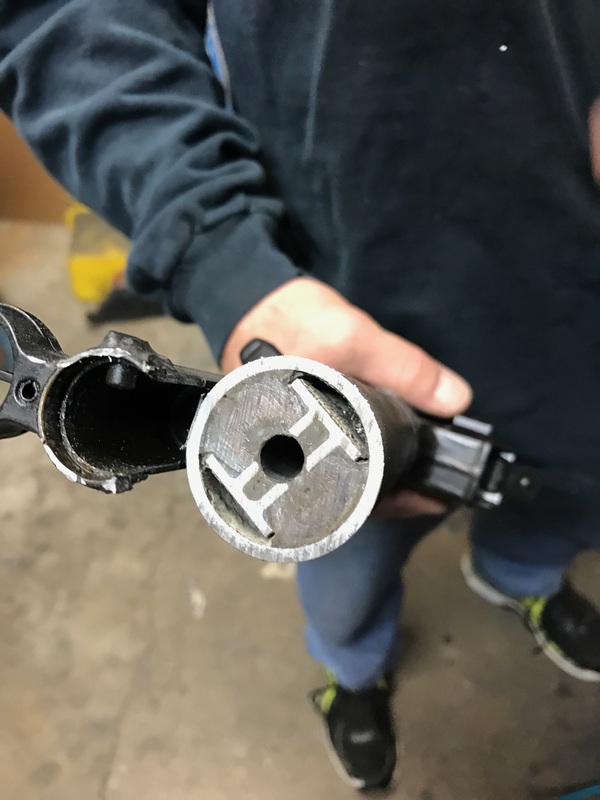 There are baffle strikes all over the interior of the suppressor but the barrels were in good shape inside. As for the outside of the barrels they are done, the ports are all worn out and elongated as well as carbon pitting all over. Its amazing the guns were functioning still. We put RCM barrels in them and new SD cages. They will live to fight another day now. So, do you guys make the HK MP5SD brushes, or know where one can find them? They seem to be made of unobtanium currently. Make your own out of a battery contact cleaner, a piece of pvc, and some jb weld. But you can take them to a very high bridge when they are thirsty and tell them water is down there.